Shower and bath repair and restorations can consist of cleaning, grout repair, grout sealing, color restoration, and color-matched caulking. We can remove and replace your worn, mildewed caulk and replace it with our mildew-resistant, acrylic color matched caulking. 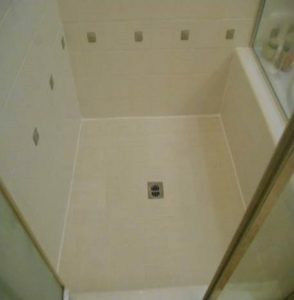 Our experts will evaluate your shower and only recommend the work needed to properly Repair or Restore your shower.